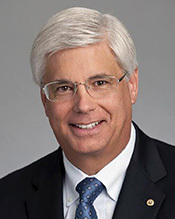 Michael Towbes is stepping down as chairman of Montecito Bank & Trust, the Santa Barbara-based financial institution that he founded and guided to become the largest locally owned community bank on the Central Coast. “I have had an amazing life,” the 87-year-old Towbes said in a statement from the bank released Monday evening, adding that he intends to spend more time with family. 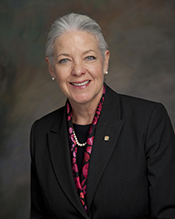 Under the succession plan the bank’s board of directors will consider later this month, bank president and CEO Janet Garufis will become board chairwoman, while George Leis, executive vice president and chief operations officer, will follow her as president. The bank will still be owned by a trust and remain independently owned “now and in the future,” according to the company statement. “Michael Towbes is immensely proud of what everyone at Montecito Bank & Trust does to make our bank the best community bank on the Central Coast, and the communities we serve better places to live and work,” Garufis said. “He has built the right infrastructure, with the right leaders, and in turn has trusted me and my leadership team and the bank associates to carry out our very important mission today and into the future. Garufis joined the bank 10 years ago as president and CEO. Montecito Bank & Trust, an S corporation, was founded in 1975, and operates 10 branch offices in Santa Barbara, Carpinteria, Goleta, Montecito, Solvang, Ventura, Camarillo and Westlake Village. The bank offers a variety of deposit and lending programs for businesses and consumers, including business loans and lines of credit; commercial real estate finance; Small Business Administration loans; mortgage loans; consumer loans; credit cards; merchant services; and online services, including mobile banking and cash management. Its wealth management division provides comprehensive trust services and full investment management for all branch office markets. 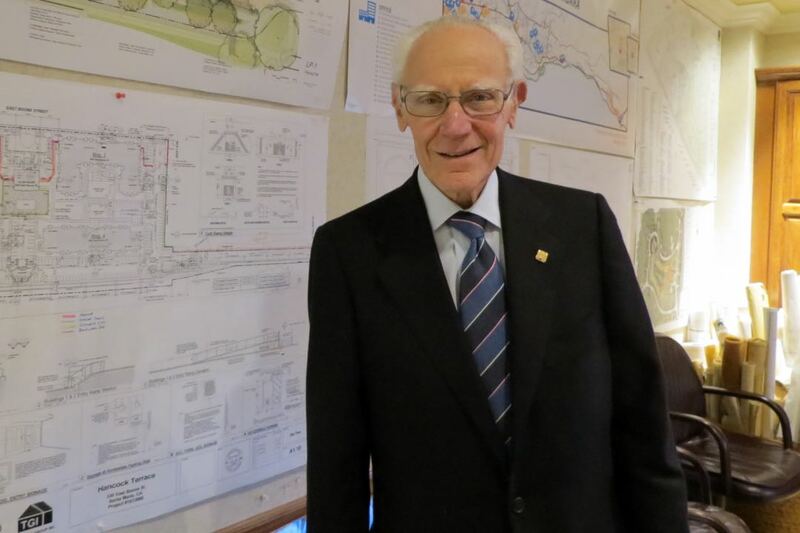 Beyond his role at the bank, Towbes is chairman of The Towbes Group, an investment, development, construction and property-management company with more than five decades of experience in the tri-counties region. Along with his wife, Anne, Towbes also is among the most active and generous philanthropists on the Central Coast. Garufis joined Montecito Bank & Trust in 2006, after holding positions with Security Pacific Bank and Bank of America. She is a graduate of the Pacific Coast Banking School, and holds bachelor’s and master’s degrees from CSU Northridge. Leis joined the Montecito Bank & Trust team last June, after serving as managing director of Union Bank’s Central Coast’s private banking division. Leis started his career with Security Pacific Bank in retail and commercial banking, before serving in leadership positions as a senior vice president at Bank of America Private Bank, senior vice president and director at Wells Fargo Private Client Services, managing director at Deutsche Bank Private Wealth Management and president and CEO of Pacific Capital Bancorp, the holding company for Santa Barbara Bank & Trust. He also earned degrees from CSU Northridge. — Noozhawk executive editor Tom Bolton can be reached at tbolton@noozhawk.com.